Dr. Erik Wilson is a Professor of Surgery at McGovern Medical School at The University of Texas Health Science Center at Houston (UTHealth) and the Director of the UT Physicians Minimally Invasive Surgeons of Texas. He is the Chief of Elective General Surgery for the medical school Department of Surgery. 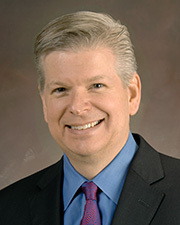 He is also the Medical Director of Bariatric Surgery for the Memorial Hermann Hospital-TMC. He is committed to a personal approach to the surgical care of patients with an emphasis on safe surgery through very small incisions and is a leader of advanced robotic surgery.